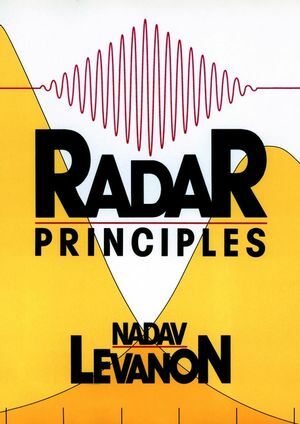 An advanced treatment of the main concepts of radar. Systematic andorganized, it nicely balances readability with mathematical rigor.Many techniques and examples have been chosen from the radarindustry (Rayleigh fluctuating targets are used as they yieldsimple expressions for the probability of detection), and othersfor their pedagogical value (Costas signals lead the coded radarsignals because their ambiguity function can be intuitivelydeduced). Ordered statistics is covered in more depth than otherCFAR techniques because its performance can be obtainedanalytically without resorting to simulation methods. Contains manyexercises. NADAV LEVANON is a professor in the Department of Electrical Engineering-Systems at Tel-Aviv University, and head of its Weinstein Research Institute for Signal Processing. He is an IEEE Fellow, cited for "contributions to radar signal analysis and detection." He is the author of Radar Principles. Doppler Shift and Range Rate. CROSS SECTION OF RADAR TARGETS. Radar Cross Section of Antennas. Binary Integration and Cumulative Probabilities. Example of a Matched Filter. Complex Representation of Bandpass Signals. Proving Rules (a)-(d) of the Ambiguity Function. THE AMBIGUITY FUNCTION OF BASIC SIGNALS. Delay Estimation Using the Signal Envelope. Measurement Accuracy and the Ambiguity Function. PROCESSING A COHERENT PULSE TRAIN. Imbalance inthe I & Q Channels. Phase and Frequency History of a Point Target.